5 Reasons Why You Need to Invest in Kharadi today! Pune is a fabulous city that is well-known for its education hubs, IT parks, career opportunities, pleasing environment and more. This is a city where you will find individuals from across the country and the world! Today, Pune is regarded an imminent micro-market due to its constant development and major growth in the real estate, retail, education, hospitality and IT sector. Without a doubt, there is so much to this beautiful city other than what meets the eye. The real estate sector in Pune is booming with a number of projects as this city continues to offer modern-day infrastructure, good connectivity and convenience for a comprehensive lifestyle. Out of the many suburbs in Pune, Kharadi is a suburb that many real estate companies have their focus on. Investing in Kharadi is a decision you will never regret. 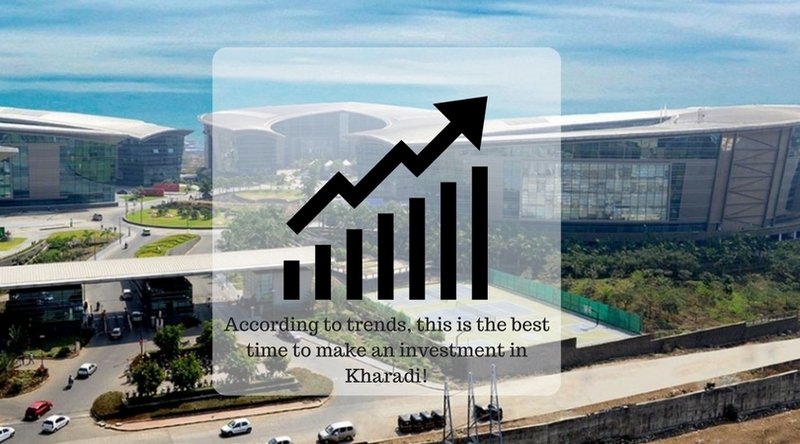 Here are five reasons why you need to invest in Kharadi today! Kharadi has noted a growing price in residential property of about 35% over the past couple pf years. While the first quarter of 2008 started off with a price of Rs.3525/sq. ft., the price climbed up to Rs.5200/sq. ft. Today, the prices of residential property are around Rs.6300/sq. ft. Without a doubt, a constant increase in property prices in Kharadi is one of the major reasons to invest in this suburb. At the end of the day, who would not like their property value to increase and at good rate? It is an undeniable fact that good connectivity is an important factor for every investor and home buyer as well, and Kharadi provides smooth connectivity in plenty! With top-notch infrastructure, wide roads, easy access to the airport, railway station and popular areas like Viman Nagar, Wagholi, Kalyani Nagar, Chandan Nagar, Koregaon Park, Magarpatta CyberCity, etc. makes Kharadi an ideal location for investors and even individuals looking out for new apartments. A bypass road that connects Pune-Ahmedabad State Highway to Pune-Solapur National Highway also passes through Kharadi. If you are looking out for superb social infrastructure, Kharadi is the place to be! From renowned schools, colleges and institutes, to medical centres, hospitals, healthcare centres, malls, shopping centres, supermarkets, multiplexes, cafes, restaurants, clubs, resto-bars, lounges and hotels, no place is hard to find when living in Kharadi. Kharadi is one of the most preferred suburbs to live-in as it gets you to work and gets you back home in the shortest amount of time possible! Home to popular commercial and IT names that include World Trade Centre, Kharadi IT Park, Zenzar Technologies, Mphasis, Wipro, Tata Communications, EON IT Park and EON Knowledge Park, residing in Flats in Kharadi truly helps you save travel-time for the things in life that really matter. Kharadi has a bright future ahead as it has the perfect mix for expansive growth in the days to come. Property demand is Kharadi has increased to a great extent today and its future outlook is nothing short of spectacular. The options of residential space are many and you can choose according to your needs and necessities. 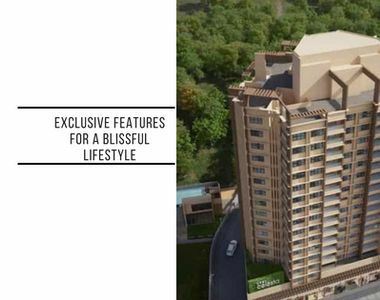 VTP One Kharadi by VTP realty is amongst the different development that you should definitely consider when looking out for residential space that give you value for every penny spent.